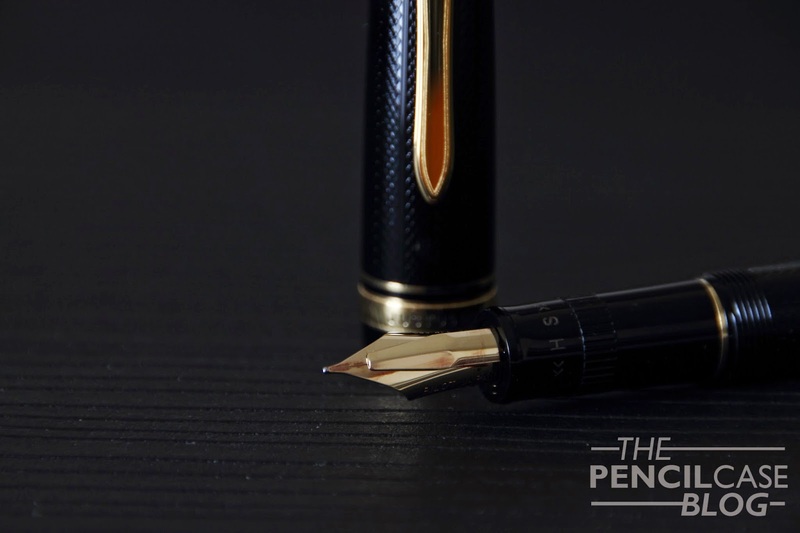 The Pilot Justus 95 is what looks like a pretty simple, typical Japanese fountain pen. 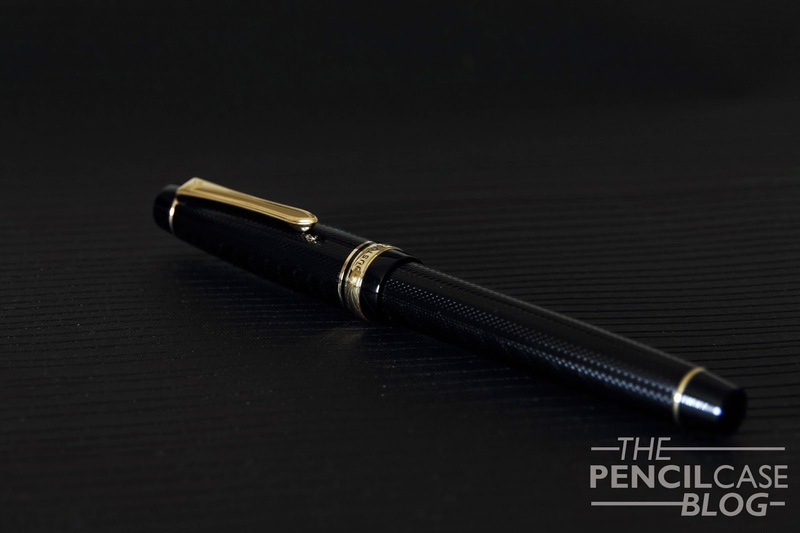 The design can be found -more or less- on a couple of other Japanese pens, such as the Sailor Pro-Gear. Or at least, that's what it looks like at first! Take a closer look, and you'll see that this Japanese beauty is far from mainstream! Not only are there a few design elements that really stand out, what's found under the cap is like nothing I've seen before! The overall shape is pretty much exactly the same as the previously mentioned Sailor Pro-gear. But the barrel and cap feature a very nice, classic-looking engraved pattern, something you'd expect on a vintage pen. The pattern is fairly subtle, you won't notice it from afar, but look closely and you'll see how intricate the line pattern is! 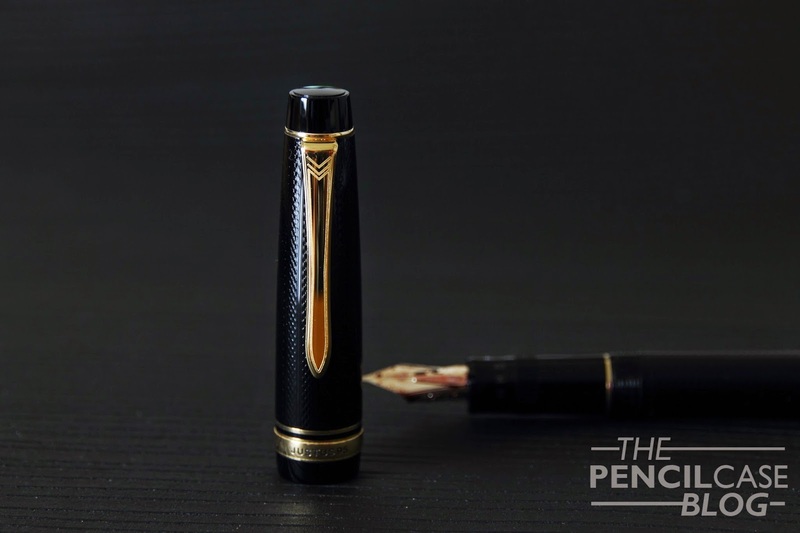 The Justus is a pretty big pen, coming close to what I would call oversized! The nib is very narrow, but long, I guess it can be categorised as a number six size. It's also quite a well-weighted pen, though this time it's not the cap that takes care of the weight. The section seems to be the heaviest part, it has metal threads, so I guess most of it is metal, with a resin layer on top. The weighted section makes it very well-balanced, even when posted (which makes it ridiculously long) it stays perfectly balanced and very comfortable to use! The Justus is incredibly well-built and feels very solid. I know this sounds vague, but some resin pens feel brittle and cheap. This one definitely doesn't! I couldn't find any seams at all, which deserves a thumbs up! Yay! 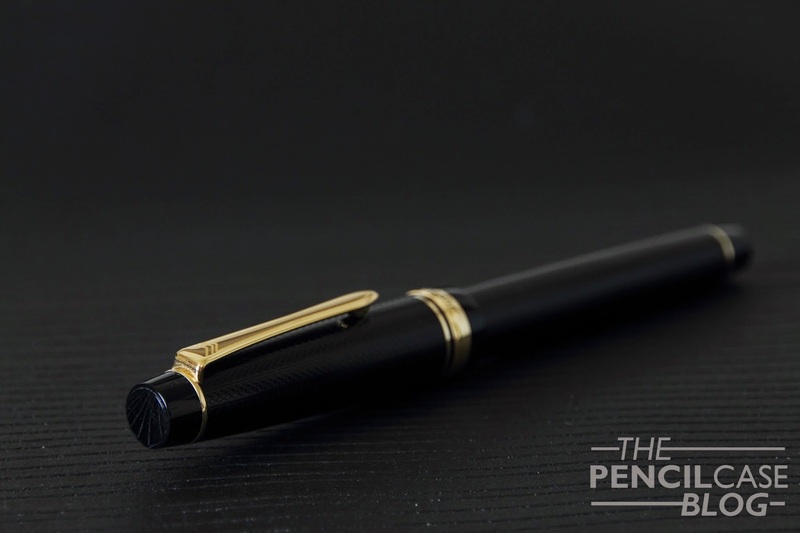 I really like the design of this pen, I actually even like the gold trims (Which I normally never do!). 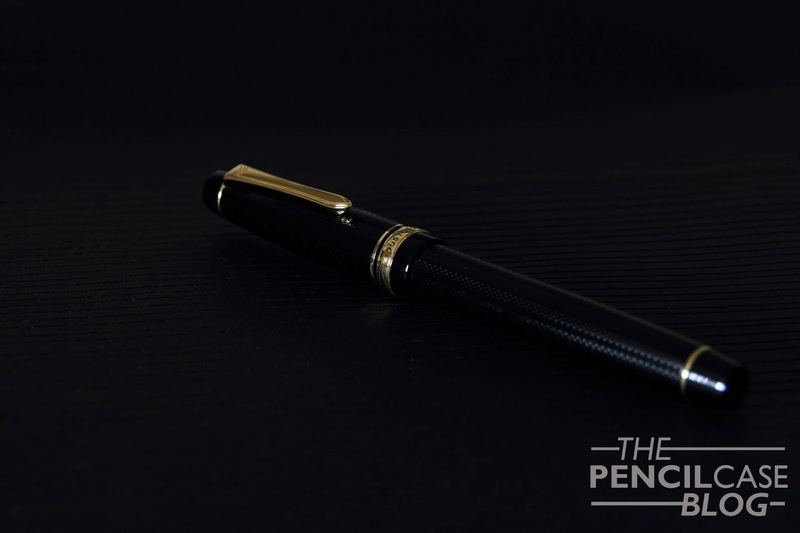 The pen has a retro feeling to it, due to the engraved barrel and cap, so the gold accents fit the overall style perfectly! But enough about the design, because let's face it: you won't buy this one for the looks! 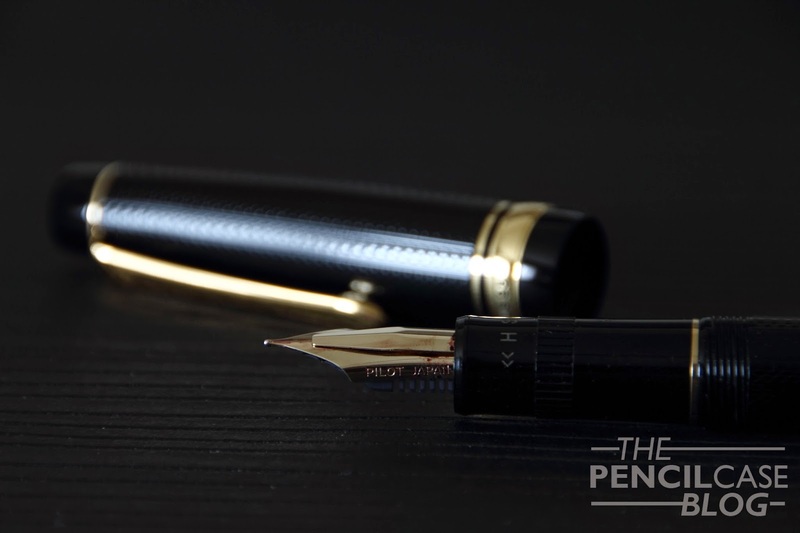 The main attraction is the 14k gold adjustable nib. 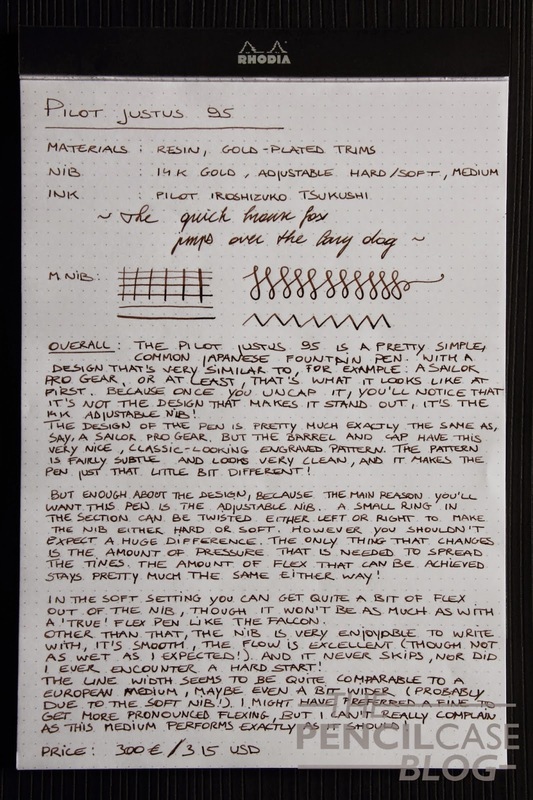 The general principle is to have a nib that acts both as a non-flex and as a semi-flex writer. The desired effect is created by twisting the ring in the grip section to the left or the right. The small clip-like piece of metal will either extend or retract into the section. 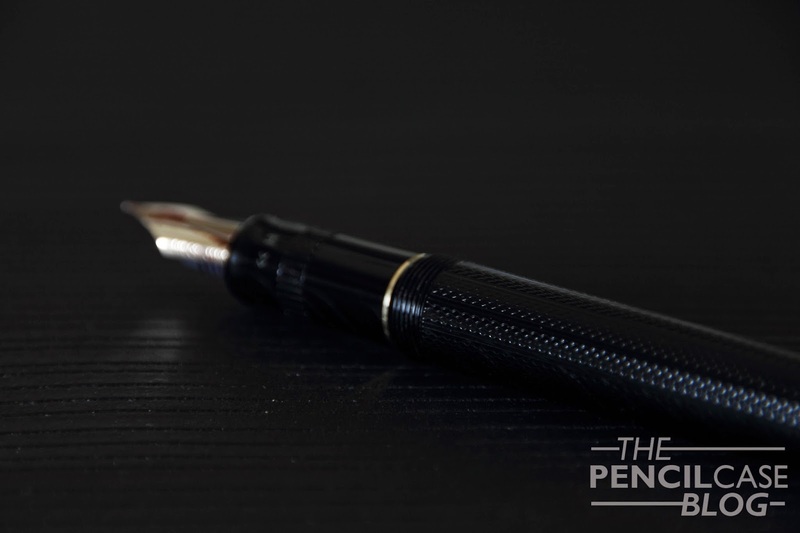 In extended position, it pushes down on the tines of the nib, giving it a bit more rigidity. In flex mode, you can get quite a decent amount of line width variation, however in my eyes the Pilot Falcon (Another pen that can be considered semi-flex) has a bit more springyness to it. Other than that, the nib is very enjoyable to write with, it's smooth, though with a noticeable amount of feedback. The flow is excellent, not as wet as I expected, but still capable of keeping up with ease. It never skipped or had a hard start. The line width of the medium nib seems to be comparable to western mediums, maybe even a hair thicker at times ( probably because of the soft nib). I might have preferred a fine nib because it would most likely show more line width variation, but I really can't complain as this medium performs extremely well! Is this a pen you should get? Yes! 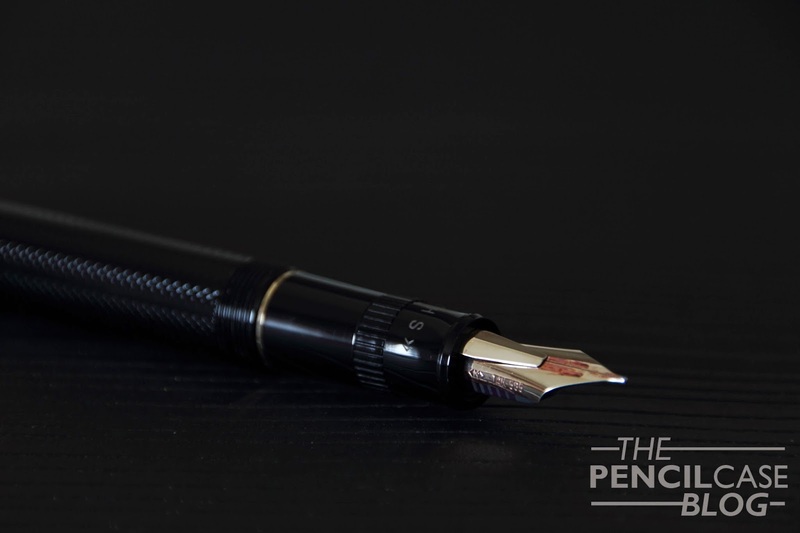 Pilot managed to deliver a very nice, extremely well-built pen with an equally nice and interesting nib. If you have the 300 Euros/ 315 USDollars to spend, this is a great way to enlighten your wallet! Note: this pen was sent to me by Pilot, free of charge, so I could try it out and write this review. I was in no way influenced in the making of this review, nor was I monetarily compensated. The opinions shared in this review are completely my own! I got a pencil from the library FREE! Hi nice review, what would you say has more line variation the justus 95 or the falcoln? Hey there! 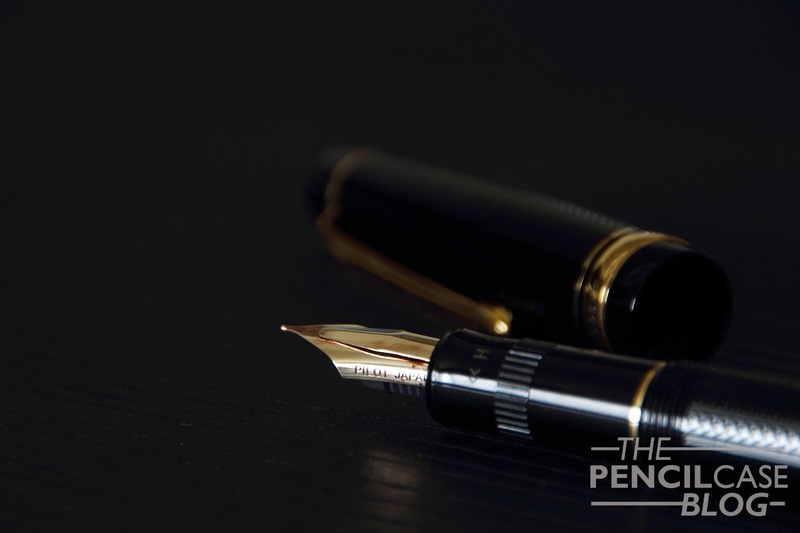 The falcon gives a bit more line variation, but the justus gives a slightly smoother writing experience.